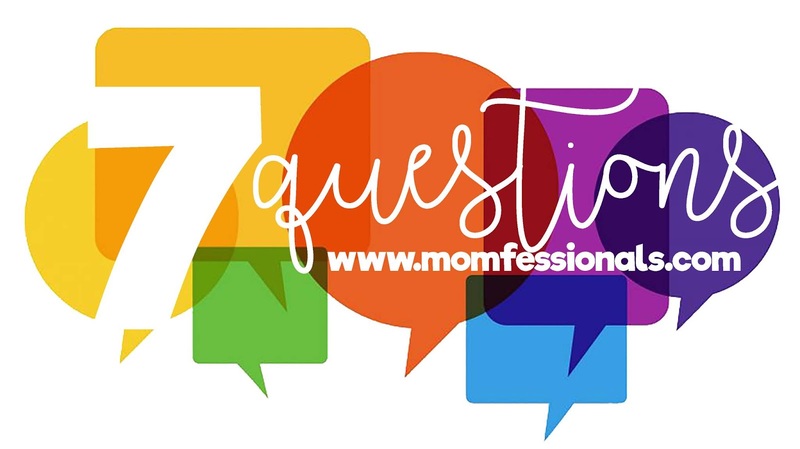 1) What does your husband do for a living? ... yes, that's for REAL! Look at the stairs.... he says the elevator is too slow :) But he really loves the variety and flexibility his job offers and Dave was MADE for the service industry. 2) Where did Griffin get the nickname GG? I really don't remember which boy started saying it first - but it was definitely one of the boys who started calling her G and then GG. (Dave thinks it was Luke and he's probably right). 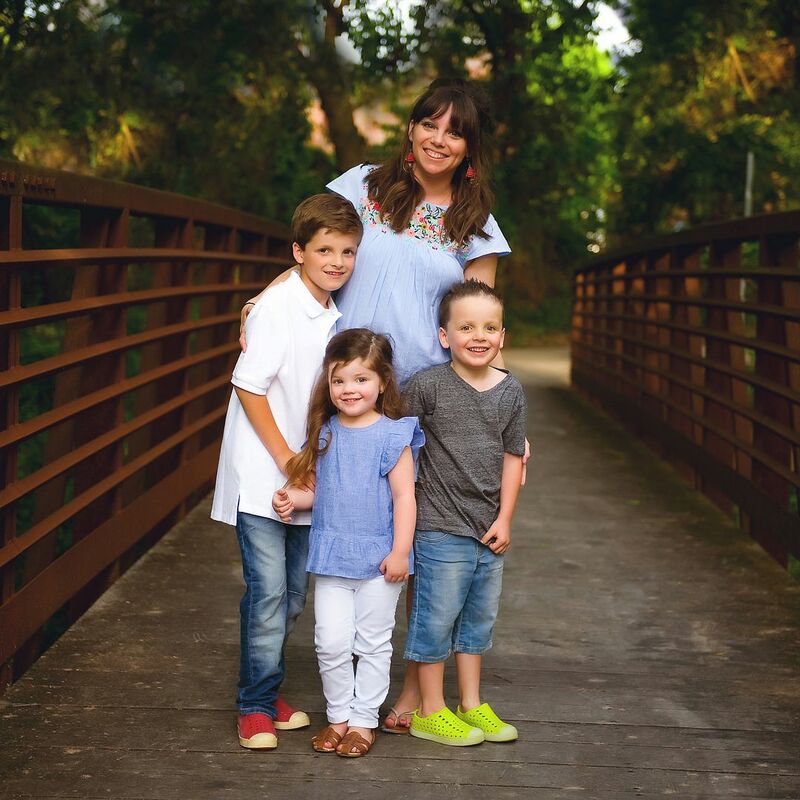 It cracks us up because she switches back and forth from wanting to be called Griffin and GG and while we always put Griffin on her paperwork and call her Griffin at school most of her friends and teachers call her GG. 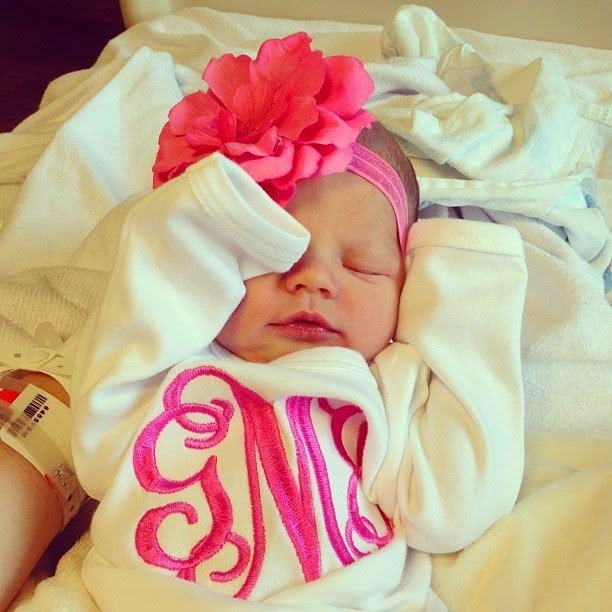 The picture below has nothing to do with her nickname - but it's just so sweet! 3) How do your nails always look so good?!?! First of all SWEETEST question and second is that I owe it all to my friend Lori. 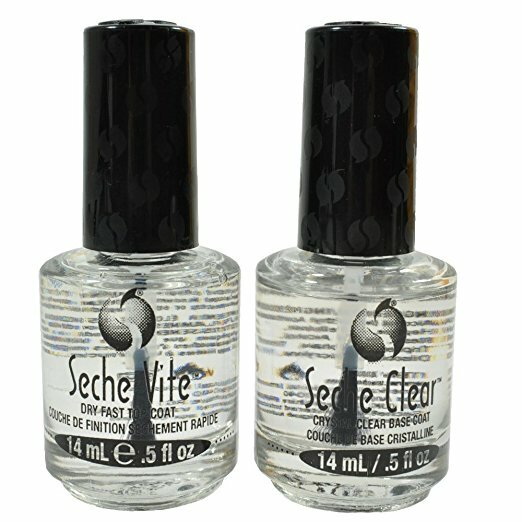 She introduced me to Seche Vite YEARS and YEARS ago and y'all - it makes all the difference. I've used the top coat religiously every time I paint my nails and it makes them shiny and strong and last a long time. I recently started using the base coat and have noticed that it makes my manicure last an extra couple of days with less chipping. They're AMAZING products and I really think make your at-home-mani look professional. You can find a set of top and base coat HERE for less than $11 ! 4) Where did you go to college? Dave and I both went to UTD - The University of Texas at Dallas and actually both have degrees in Business Administration. I attended as part of their Academic Excellence - Honors scholarship program and Dave transferred in after two years at Collin College. The campus has changed a LOT since we attended and we just talked about taking the kids down there this Fall to check it out. 5) Where are your kids beds from? I get this question all the time and the answer is IKEA! They all have the Hemnes daybed because you can't beat the storage drawers. We have regular mattresses (we didn't love the IKEA ones) and they work perfectly. I'm sure at some point they'll outgrow them and need something larger - but for right now they're awesome! 6) How did you and Dave meet? Dave and I met in High School - I was a sophomore and he was a junior - and we met through marching band :) I played bass trombone (I marched tenor most of the time which is what's in the picture below) and Dave was drum line captain. That was nineteen years ago which is kind of blowing my mind. Our band was 250+ people and while I knew who he was (because DUH! hahaha) we actually met each other at a dinner with mutual friends. The rest is history! 7) Do you make a plan of what to blog for the week or is it just random? Guilty of asking about those beds! I think they are great though and plan to purchase one in the next few weeks once our new house is done. Thanks for the info on the mattresses...I was wondering what your chose. We have this bed too, and I wish I would have bypassed the Ikea mattresses, and just got a regular one. My daughter says her mattress is too hard, so this fall I will bite the bullet, and get her a "real" mattress! Dave's number of stairs per day is INSANE! You need to try Essie Treat, Love & Color polishes. It's a base coat, color and top coat all in one. Most colors only need two coats and they last over a week without chipping and dry super fast. I'm hooked! Just ordered the base and top coat from your link- my 19 year old has been doing her own nails since it can be a struggle to get manicures when away at school. I can't wait for her to try them! We purchased one of those beds for our daughters room. The storage is just amazing. Both kids have the Hemnes dresser as well. Thinking about moving my son to a loft bed so he can have all his legos in his room. Dave's steps and number of stairs is crazy. My daughter goes between her nickname and real name all the time. I swear by Seche Vite as well. Dave's Fitbit wears me out! 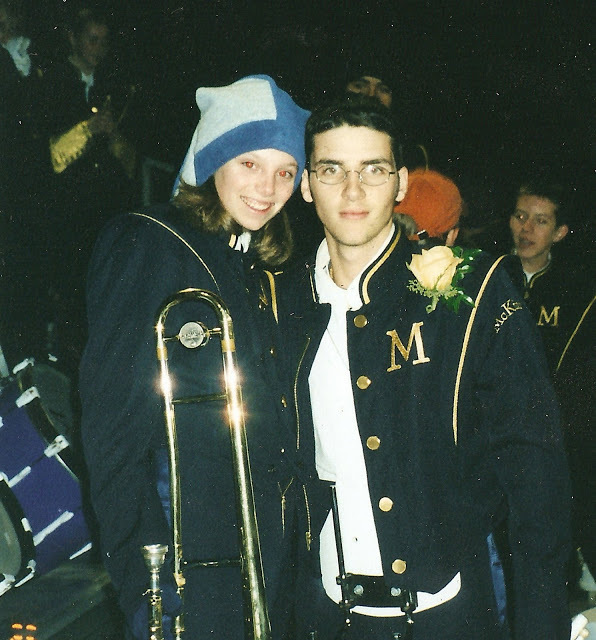 Also I love that pic of you both in marching band - I am a fellow band nerd and I absolutely miss those days! Seriously. 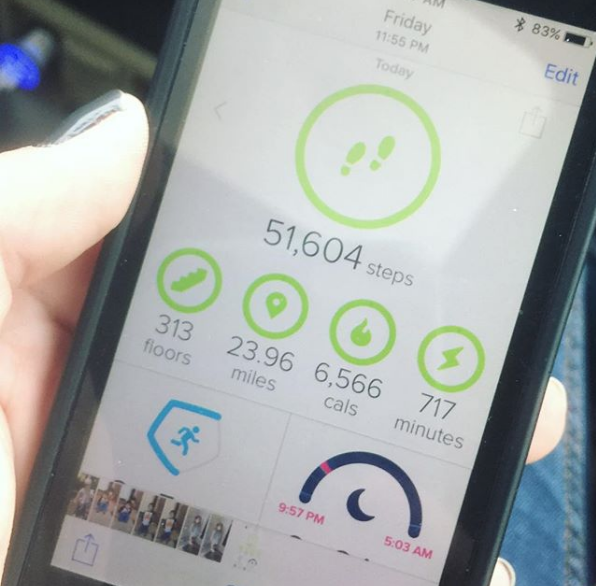 Dave's FitBit numbers are awesome and crazy and insane! No wonder he is so thin! LOL......I consider it a great day when I hit 22k steps. On my apple watch. Wow!! I hope Dave treated himself to something really indulgent and high calorie after ALL those steps! !